An email client is essentially a desktop application through which you can connect your multiple accounts and manage all those accounts within a single platform. The key feature of an email client is to handle all your accounts with great efficiency and provide some customisation to enhance the experience. 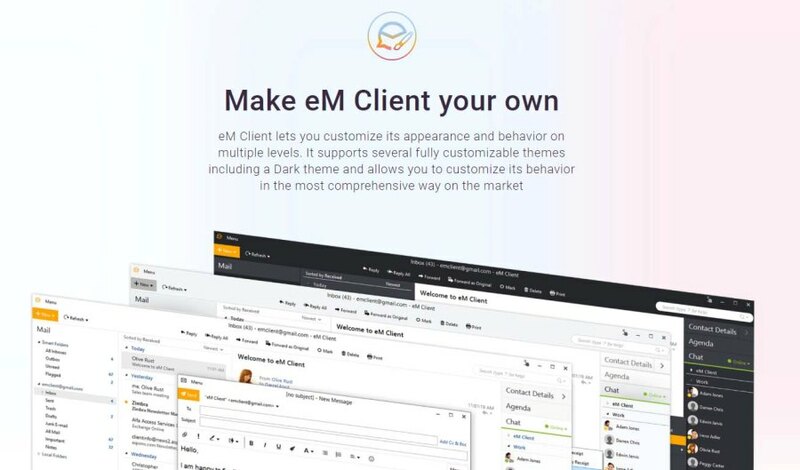 On January 2019 eM Client was launched for the macOS users, let’s see how this application stacks up against all the existing emailing clients. eM Client supports multiple accounts on their platform which saves a lot of time and effort of users to set up a client for every new email they use. However, for the free version users are restricted to a maximum of only two email accounts. Another great thing about the eM Client is that it provides 10 different themes for their app and it also provides about 20 language localizations. It is one of the interesting features which allows the user to easily create tables and also edit them. eM Client also provides the feature of editing the images before sending them to the recipient. Some of the editing features include resizing the image – which can be automatic by the eM Client or manually changed according to the needs of the user. One of the best featureseM Client provides is its close integration with the macOS. It is not an additional feature in itself but it increases the overall experience of eM Client. eM Client packs Windows-like features on macOS also but it is not just a clone of the Windows app. Its close integration with the macOS provides automatic data retrieval from Apple’s reminders app and to-do-list. eM Client uses PGP encryption for their emails which makes them very secure but this might reduce the speed with which emails are being sent, also PGP encryption needs a key exchange to decrypt the messageswhich sometimes is not the most convenient way . eM Client provides some additional features like automatic backups and automatic replies which essentially sends a predefined mail during a specific time period. eM Client does some small things that are not so huge to be termed as a feature but they really affect how eM Client functions. For example: emails in eM Client are sorted by the day which comes in handy as you can always see your latest emails. Also, the to-do-list in the calendar is organised very well and you can use different colours for the daily tasks and schedules so that you can never forget and miss anything important. Another small thing eM Client takes care of is the snooze time on the reminders. You can set the snooze time to shorter time intervals like 15, 20, 30 minutes unlike, the native “mail” app of Apple which does not provide this feature. eM Client adds these small things which increase the overall quality of experience of the user and is a great app to use. Why Not Consider eM Client? The user experience of the eM Client is certainly better than the native “Mail” app of Apple but due to the same and consistent user experience provided by Apple over all of its services (mac, iPads, and iPhones) some users might find it difficult to switch from the Apple ecosystem. Since eM Client is new to macOS it has some bugs which can be easily fixed and the company is already working hard on it to make eM Client a bug free user experience. Just the slight alignment issues with the text were found, and the reminder app usually keeps reminding of the past schedules. Other than these minor bugsno other bugs were found as of now. eM Client comes in two variants:one is the free version and the other is the paid (or Pro) version of the software. The Pro version has Professional support, access to set up unlimited accounts and only the Pro version should be used for commercial uses. The free version only supports a maximum of 2 email accounts and can only be used for personal use plus the free version also lacks dedicated support.